From our family to yours…. Happy Holidays! SCHEDULE TODAY & RECIEVE A FREE CLEANING JUST IN TIME FOR THE HOLIDAY SEASON! Finally! 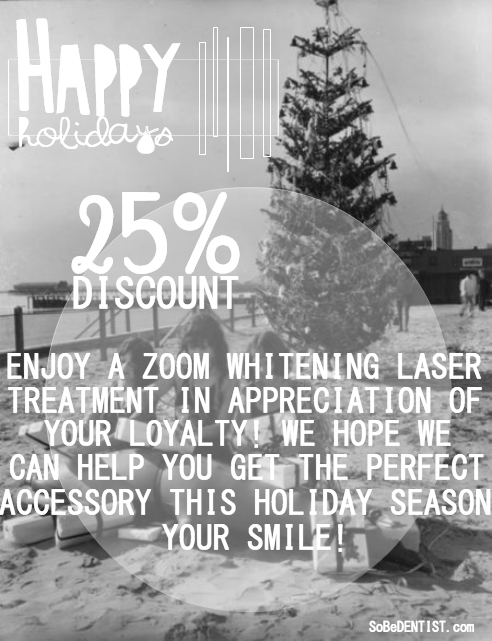 The voting is over and the popular vote has been counted, but no worries here at SoBeDENTIST.com everybody wins with our new holiday promotion! Start scheduling your routine exam visit just in time for the holidays, and receive an unexpected gift in your SoBe gift bags. This holiday season, with every routine exam scheduled take home a FREE Cleaning & Consultation gift certificate for a friend, family member, or loved one. *One per client, only having scheduled a routine exam. Valid for new patients only.